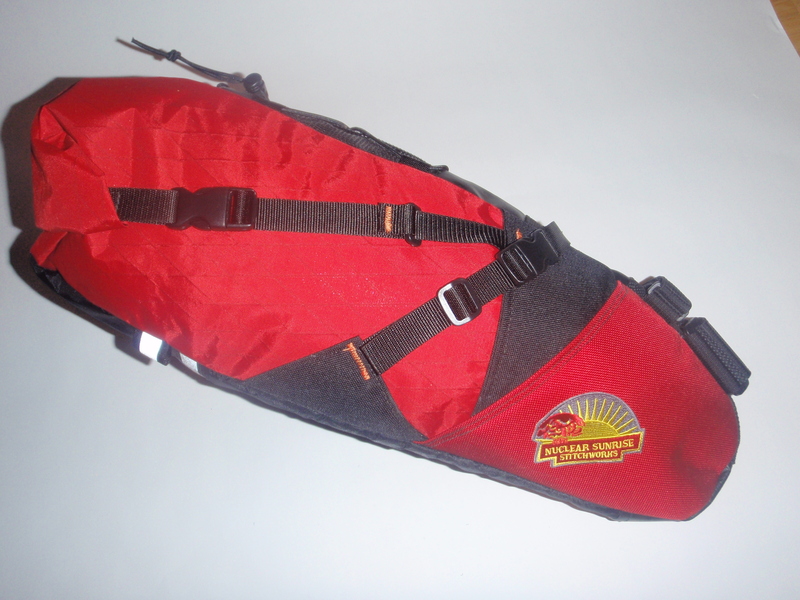 Use it as an extra water bottle holder or as a feedbag. This bag is designed to hold a lot and fit XXL hands. A drain hole in the bottom by request from fans of the “other” feedbags out there. One handed operation. Left or right attachment. 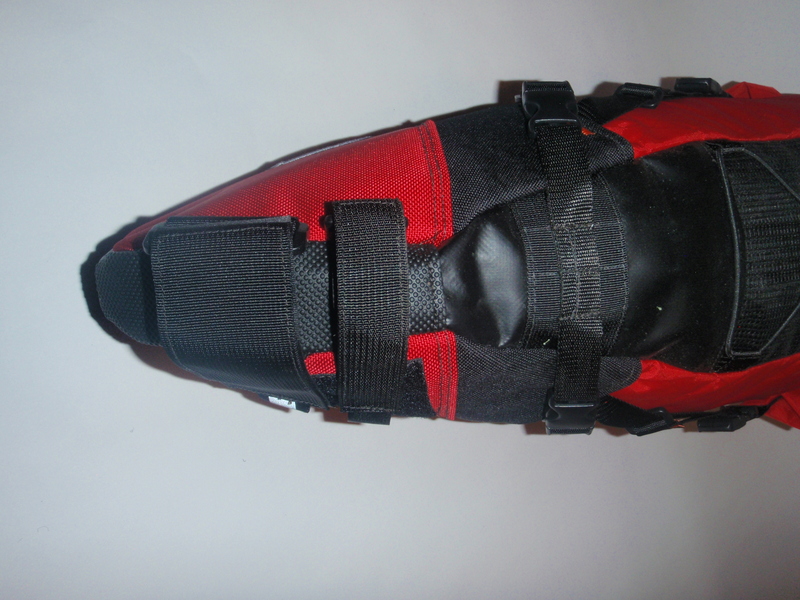 Integrates with harness systems. 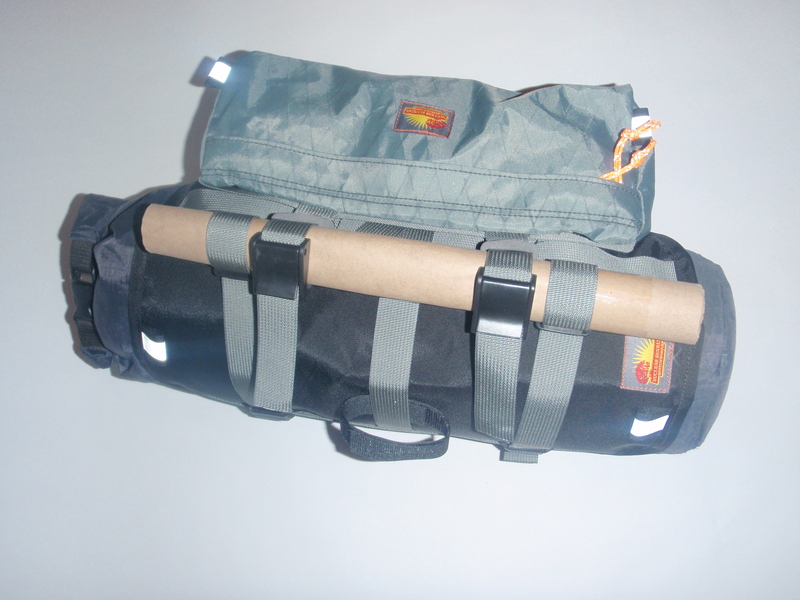 Designed for bikes with sloping top tubes or for seat post bags on traditional frames. 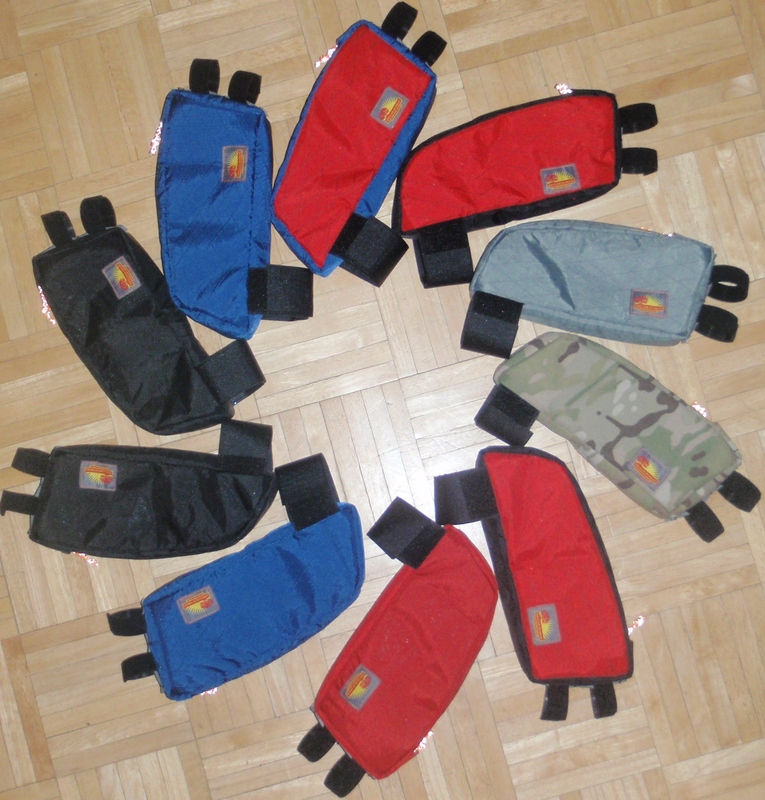 Around 1L capacity (9.5″ x 4″) with hidden water resistant zipper, tacky Velcro attachment for stability, padded side panels to help protect smart phone and not hurt the rider during a mishap, inside divider for smart phone, vinyl padding on the bottom inside to prevent items from clanking against the top tube. Yes…..all this stuff really fits in there! 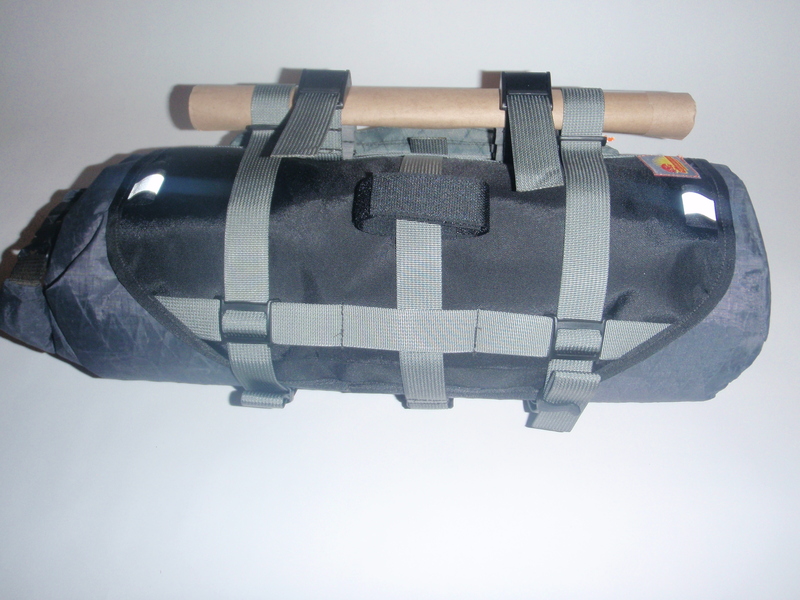 Smaller tank bag for the road bikes or for mounting at the seat tube on mountain bikes. Race proven on the Colorado Trail and the Arizona Trail. Three compression straps secure the load tightly against the head tube and stem for control and stability in the gnarliest terrain. 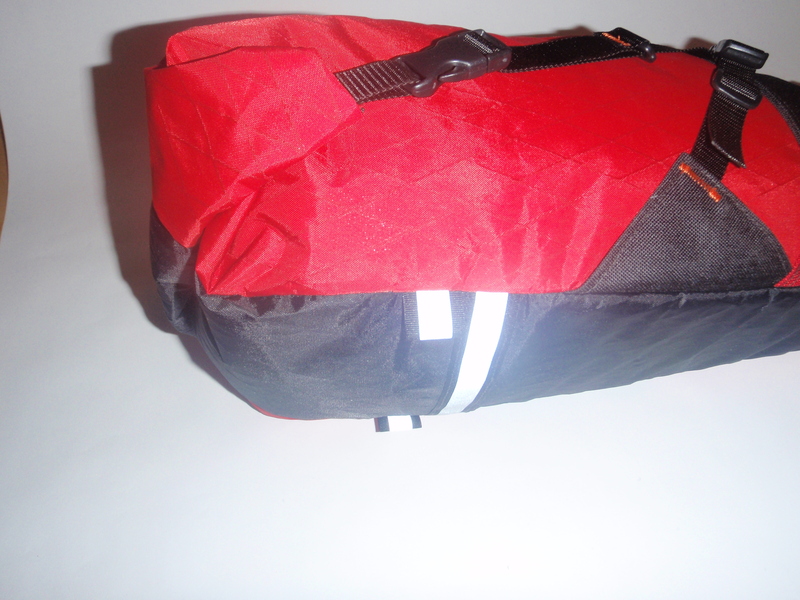 Harness panel protects stuff sack and other items from damage due to constant movement by cables and brake lines. 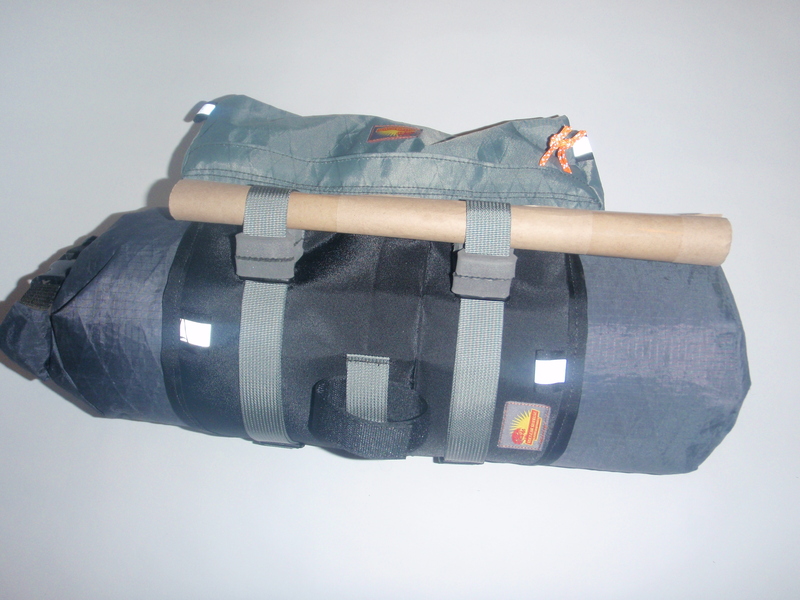 Rubberized backing material secures silnylon and cuben stuff sacks securely. Center compression strap improves tire clearance for front suspension users. 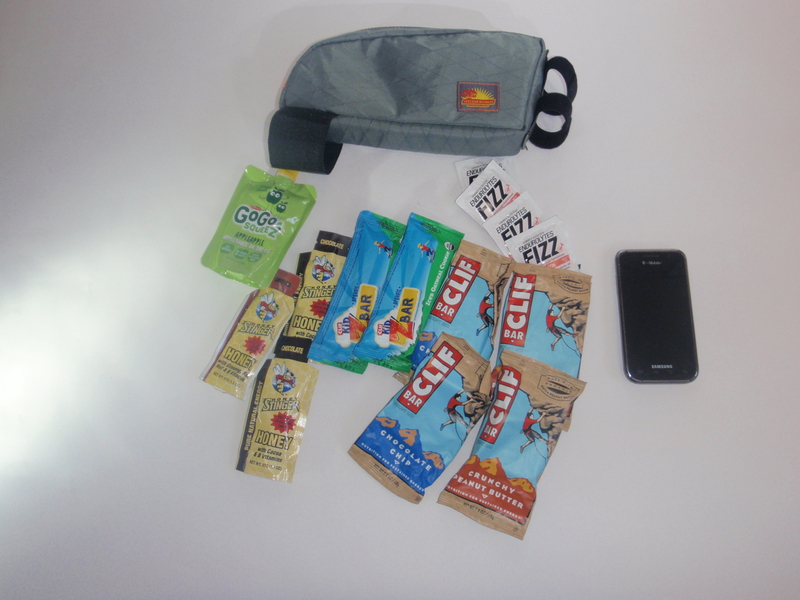 Simple 1.5 L pouch design uses storm flapped zipper. 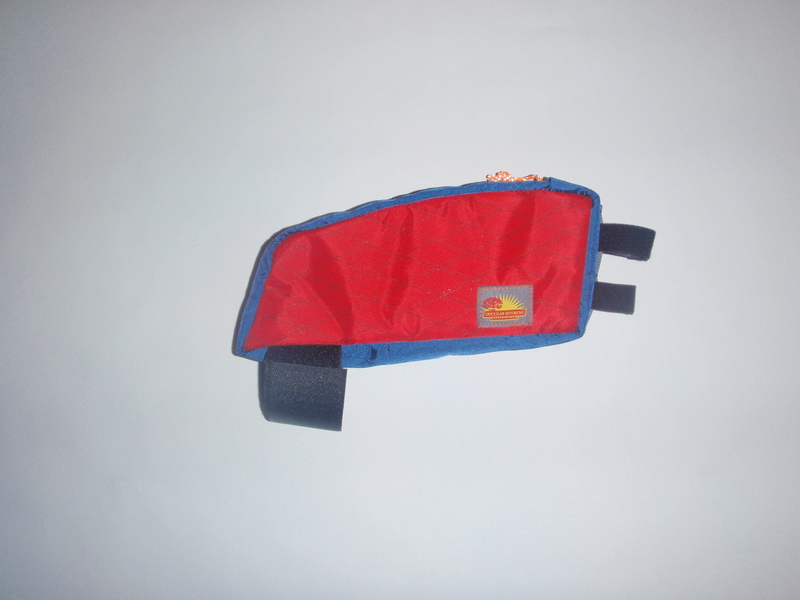 System can be run without the pouch. Stuff sack not included. 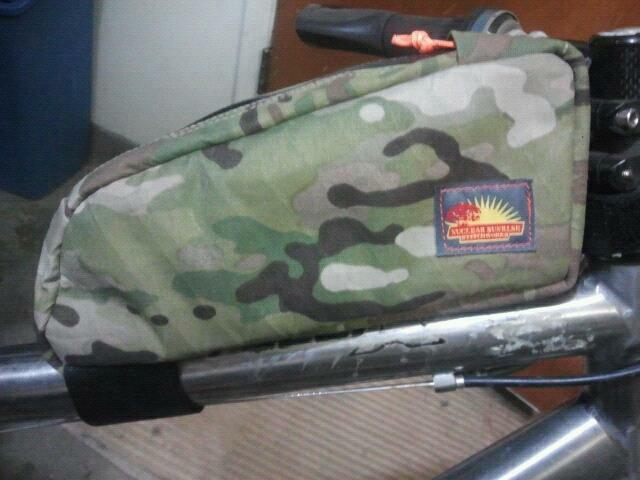 Rear view…..velcro strap used to connect to head tube or stem. Specifically designed for drop bars but works great on flat bars. 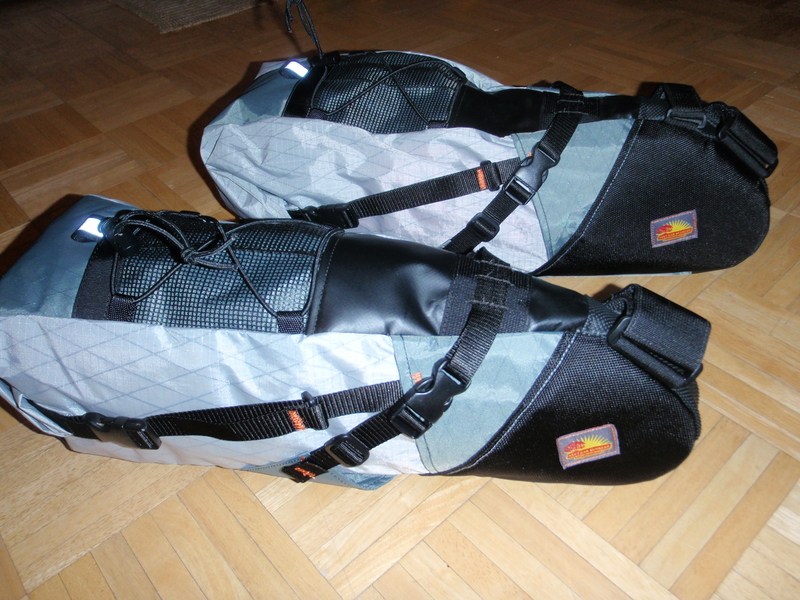 Double compression straps are integrated as the attachment to the bars. 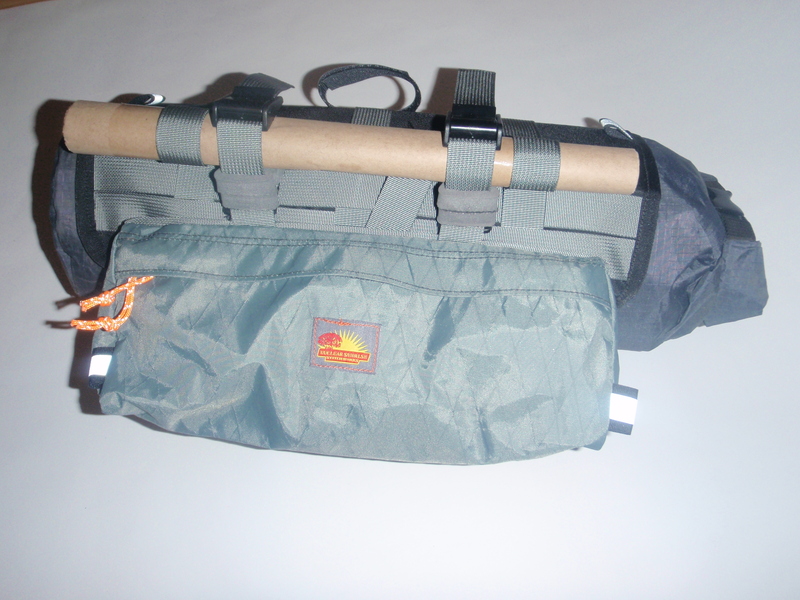 Similar features as the Superfortress with identical pouch. Competitive offerings with additional features over the competition. 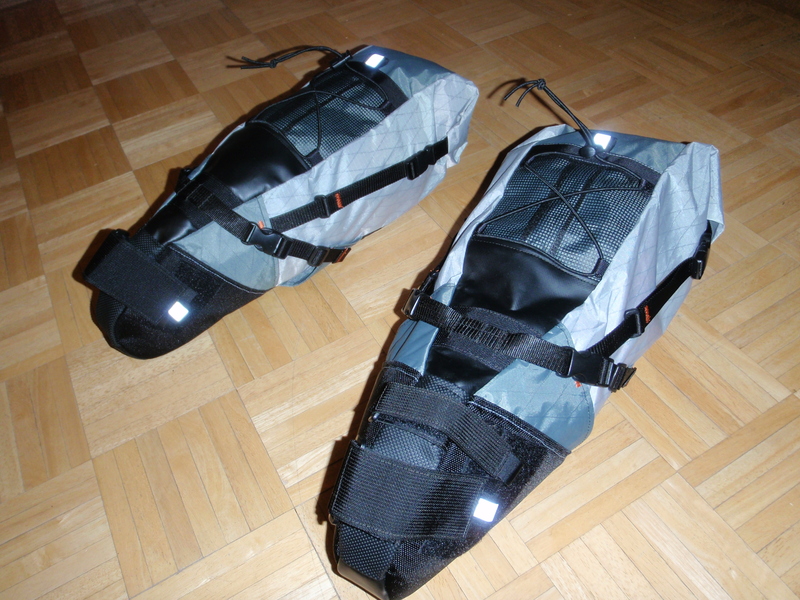 XPAC VX21 or VX33 used in top and bottom panels. 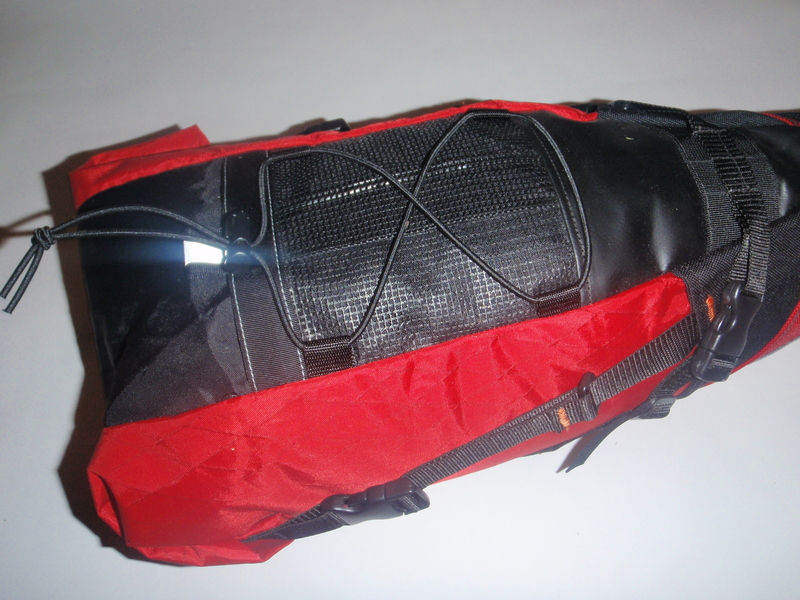 Lighter weight VX07 or Litelok used in side panels. 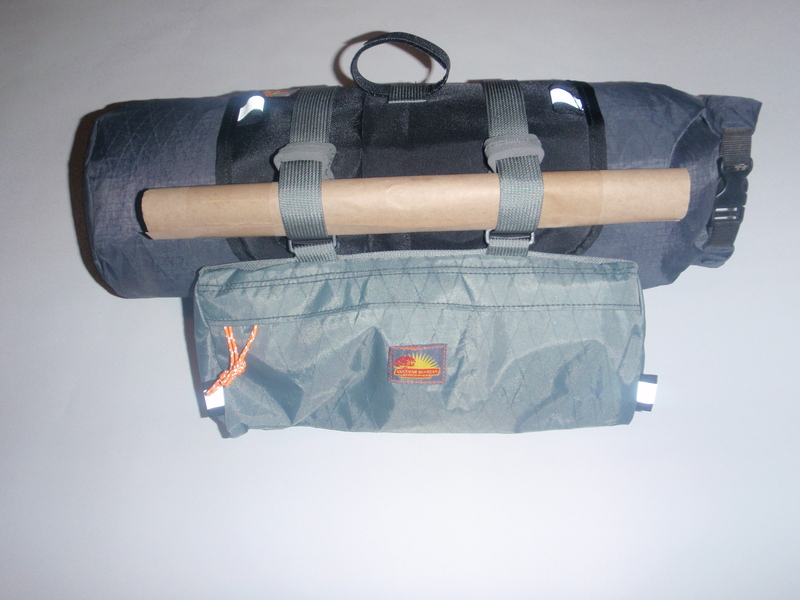 Top SPOT mesh pocket and shock cord tie down standard. 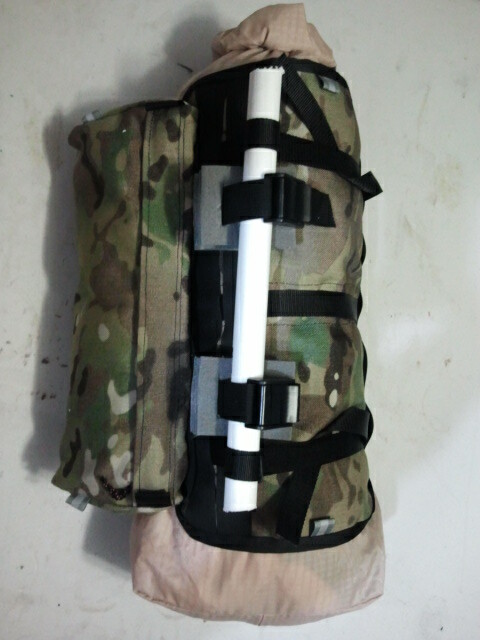 Inner compression strap keeps the load stable. Reflective strip and side tabs standard. 6.5″ of rail to tire clearance for Little Boy and 8″ of clearance for Fat Man. Reflective strip and tabs come standard. 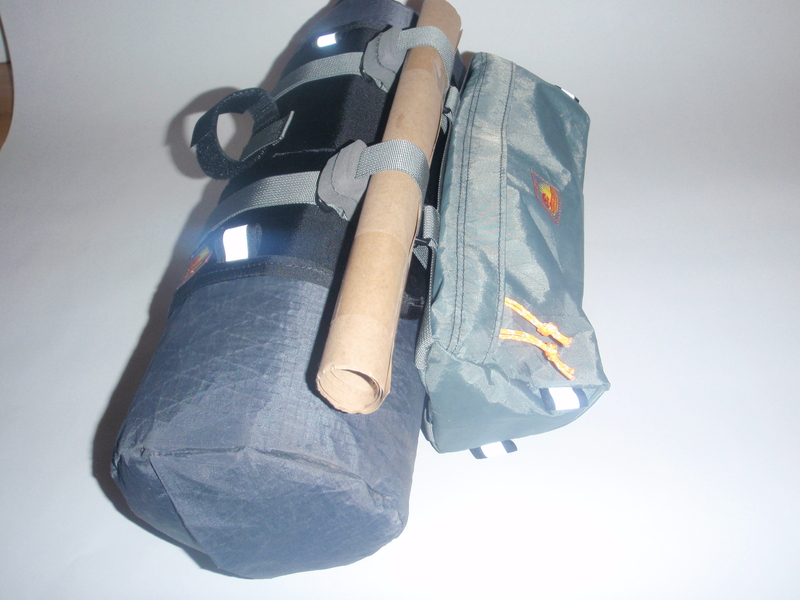 Mesh SPOT pocket and shock cord tie down…..standard! Quality materials for durability and secure connection to the seat/seatpost.